UK Olympic canoeist Tim Baillie will provide the keynote address at the Composites in Sport 2016 show, taking place on 16 November at Loughborough University, UK. 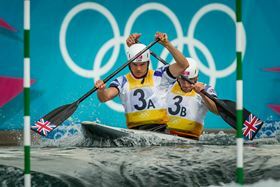 Tim Baillie and his C-2 partner Etienne Stott won the Gold medal at the London 2012 Olympics in the sport of canoe slalom. The presentation is entitled ‘Journey to Olympic Gold (in a Composite Canoe)’, and will cover his career and explore the equipment used in his equipment, including some composite failures he experienced along the way. Other speakers include Paul Sherratt, Sports Technology Institute, Joe Summers, North Thin Ply Technology, Mark Crouchen, Rockwood Composites, Rosie Manning (incorporating Trulife Science and TenCate), and Jaime Ferrer-Dalmau, Entropy Resins. Composites in Sport will explore new composite material developments in sports-related applications and is aimed at material developers/suppliers, manufacturers, researchers, regulatory bodies and athletes. The conference will also incorporate an exhibition and demonstrations of equipment and bespoke test rigs at the Sports Technology Institute. This story is reprinted from material from Composites in Sport, with editorial changes made by Materials Today. The views expressed in this article do not necessarily represent those of Elsevier.